Pacific MusicWorks presents Leading LadiesKING FM 98.1 - Classic Radio Inc. | KING FM 98.1 - Classic Radio Inc. Burning passion, tender desire, and fierce jealousy come to life in the music of Barbara Strozzi – the best known of a small number of women who found success in the male-dominated world of 17th century professional musicians- and her contemporaries. 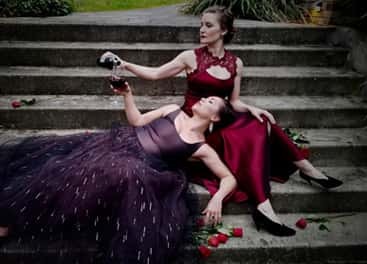 Sopranos Tess Altiveros and Danielle Sampson join Stephen Stubbs and the Pacific MusicWorks House Band for a journey into the world of love gone right, love gone wrong, and love just plain gone.